(19807, Oklahoma Historical Society Photograph Collection, OHS). (23139.G44, John Dunning Political Collection, OHS). Fairview, the county seat of Major County, is located at the junction of State Highway 8 and State Highway 58/U.S. Highway 60. Fairview was settled following the Cherokee Outlet land opening on September 16, 1893. Before 1907 statehood and the establishment of Major County, the town was situated in Woods County. Adam J. Bower, an early settler, named the town Fairview because of its scenic location in the Cimarron River valley east of the Glass (Gloss) Mountains. Bower and his sons constructed a frame building in which a post office was established on April 18, 1894. Clifford D. Bower, a son, served as the first postmaster. In 1903 the Kansas City, Mexico and Orient Railway (KC, M&O, later the Atchison, Topeka and Santa Fe Railway) built a line from the Kansas-Oklahoma border to Fairview. On August 20, 1903, residents celebrated the arrival of the first train. By 1908 the KC, M&O maintained machine shops, a round house, and a division point in that community. At 1907 statehood Fairview was designated as the seat of Major County, and it became the permanent county seat after an election held on December 22, 1908. Competing against three other communities, Fairview received 1,794 votes, compared to Cleo Springs's 461 votes, Orienta's 419, and Ringwood's 287. 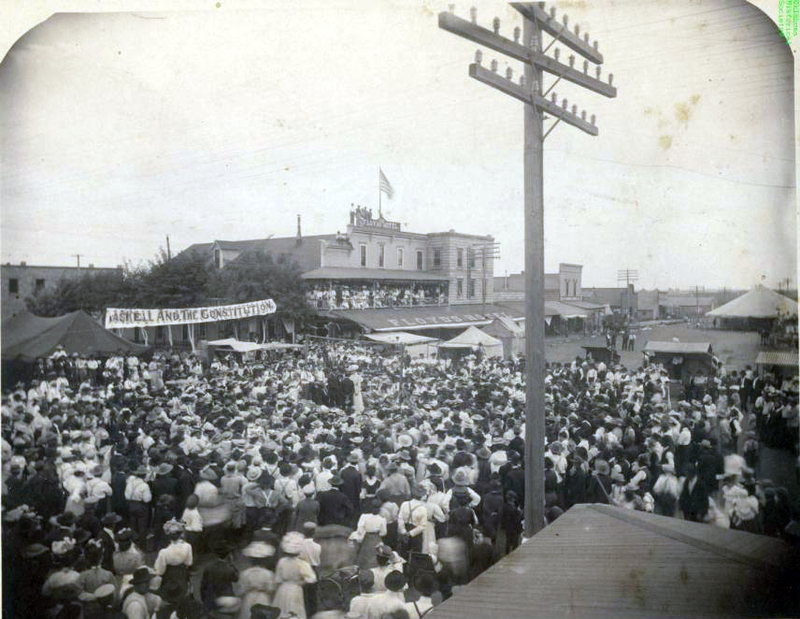 On September 7, 1909, Fairview became a first class city by a vote of 179 for and 42 against. County commissioners rented office space until a two-story, brick courthouse was constructed in 1908–09. A larger, stone courthouse was erected in 1928 at a cost of $77,495. In 1984 the Major County Courthouse was added to the National Register of Historic Places (NR 84003153). Fairview merchants initiated their first trade day in April 1908. In September that year the town hosted the first Major County Fair. In March 1908 the school system employed six teachers and enrolled 246 students. A white brick school building was situated in the center of town. In May 1908 Fairview had the only high school in Major County. Three banks, two cotton gins, a flour mill, and a grain elevator served the community in 1909. By that time settlers had organized the Baptist and Methodist Episcopal churches and a library. Early newspapers included the Fairview Leader and the Fairview Republican. Nine years later citizens supported a third newspaper, the Fairview Enterprise. Fairview had typical businesses such as general stores, hardware stores, liveries, and a blacksmith. In the early 1930s the town had a cotton gin, two creameries, two elevators, three grain companies, a flour mill, and a meat distribution plant. In the late 1930s the Champlin Refining Company and the Sinclair Refining Company as well as four petroleum companies operated in Fairview. 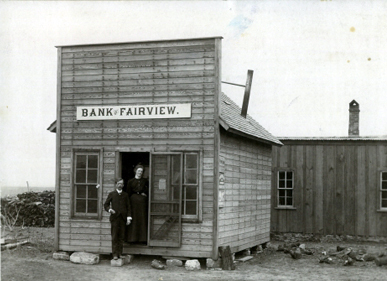 In the mid-1940s and 1950s the Fairview State Bank and the Farmers and Merchants Bank offered financial services. Beginning in the 1972–73 school year, the Fairview campus of the Northwest Technology Center offered classes. At 1907 statehood Fairview had 887 residents. Population increased to 2,020 in 1910, but declined to 1,751 in 1920. Numbers rose to 2,411 in 1950 and to 2,894 in 1970. In 1980 the population peaked at 3,370. Since 1980 the numbers have declined to 2,936 in 1990, 2,733 in 2000, and 2,579 in 2010. At the turn of the twenty-first century Fairview had a council-manager form of town government. A school system offered grades prekindergarten through twelve. The Fairview City Library, the Fairview Republican newspaper, the Northwest Technology Center, and the municipal airport continued to serve the citizenry. The Major County Historical Society Museum preserved local history. "Fairview," Vertical File, Research Division, Oklahoma Historical Society, Oklahoma City. Gloss Mountain Country: A History of Major County (Fairview, Okla.: Major County Historical Society, 1977). Profiles of America, Vol. 2 (2d ed., Millerton, N.Y.: Grey House Publishing, 2003). Linda D. Wilson, "Fairview," The Encyclopedia of Oklahoma History and Culture, https://www.okhistory.org/publications/enc/entry.php?entry=FA007.